The Cheesecake Trifle at Juliette et Chocolat consists of layers of brownies, cheesecake cream, hazelnut praline coulis and whipped cream, served with warm chocolate ganache. 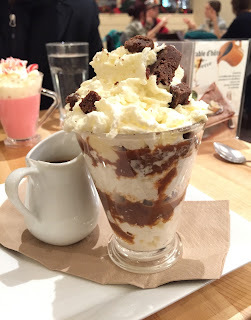 Over the whipped cream, there're cube brownies and hazelnut praline sauce was nutty and fragrant. It's quite sweet already, but lightly sour cheesecake creme in the glass was a nice touch. When I poured from the top, it didn't melt the mountain-high whipped cream and started falling out of the glass and I got a pond of chocolate on the plate. 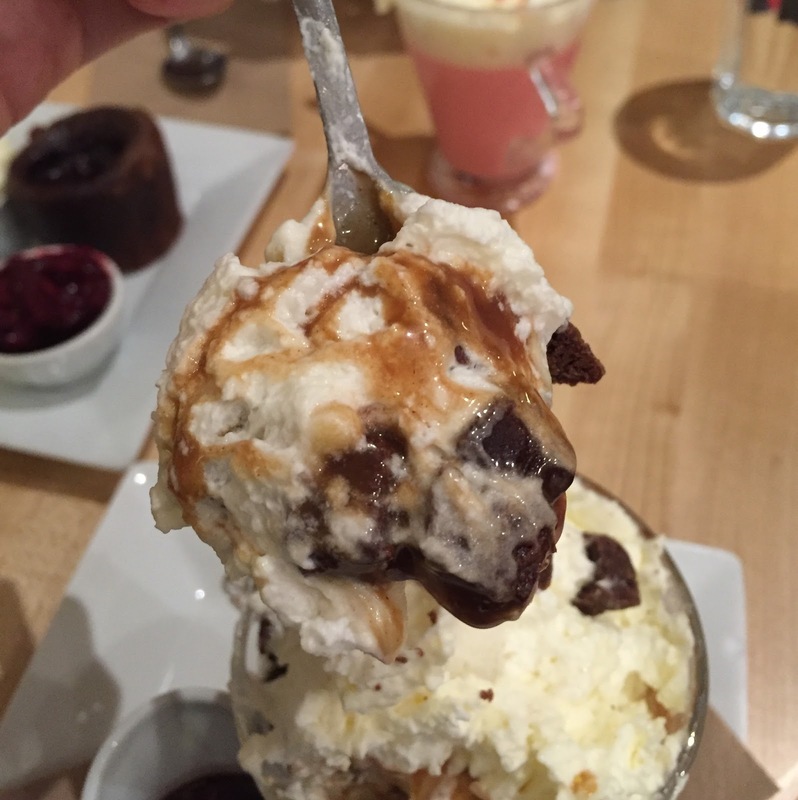 When I mixed the ganache with the cheesecake and brownie, it became a very rich cheesecake flavored dessert.